Alba Botanica Anti-Pollution Volcanic Clay Hawaiian Detox Scrub, 4 oz. 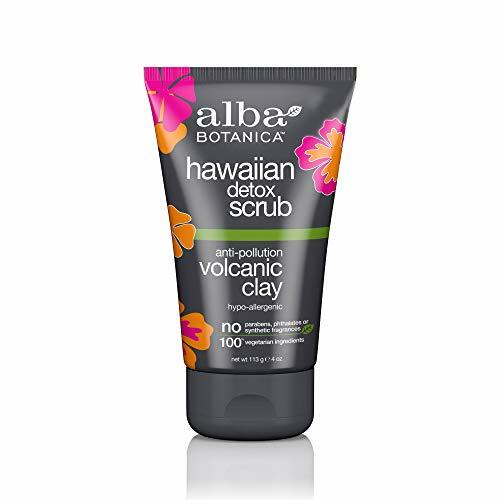 Give your skin a deep clean with Alba Botanica Hawaiian Detox Anti-Pollution Volcanic Clay Scrub. This scrub uses biodegradable buffing beads combine with a rich lather to exfoliate and soften skin, while torch ginger and lotus flower nourish and soothe. Volcanic clay attracts, extracts and absorbs dirt, oil and grime, while tropical fruit acids dissolve dulling debris for a brighter complexion. Our 100% vegetarian formula is hypo-allergenic and does not contain any parabens, phthalates, or synthetic fragrances. It is also not tested on animals. Includes one 4 oz. tube of Alba Botanica Anti-Pollution Volcanic Clay Hawaiian Detox Frothy Scrub. At Alba Botanica, our product family constantly evolves alongside health, beauty, and ingredient knowledge and trends. We’re dedicated to making high quality, 100% vegetarian products that overflow with botanical ingredients. Do beautiful – that’s the motto that motivates our body loving products that nourish the skin, hair and, of course, the soul. 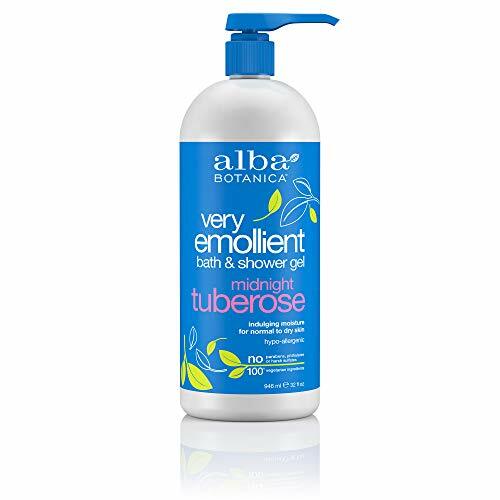 Alba Botanica Very Emollient Midnight Tuberose Bath & Shower Gel, 32 oz. Gently cleanse and pamper skin with Alba Botanica Very Emollient Midnight Tuberose Bath & Shower Gel. Made with aloe, chamomile and lavender, this rich-lathering body wash gently cleanses and hydrates dry, sensitive skin. Our shower gel is packed with botanical emollients and conditioners to soothe skin while leaving it soft and supple. Our 100% vegetarian formula is hypo-allergenic and does not contain any parabens, phthalates or harsh sulfates. It is also not tested on animals. Includes one 32 oz. bottle of Alba Botanica Very Emollient Midnight Tuberose Bath & Shower Gel. At Alba Botanica, our product family constantly evolves alongside health, beauty, and ingredient knowledge and trends. We’re dedicated to making high quality, 100% vegetarian products that overflow with botanical ingredients. Do beautiful – that’s the motto that motivates our body loving products that nourish the skin, hair and, of course, the soul. Alba Botanica Acnedote Maximum Strength Face & Body Scrub, 8 oz. 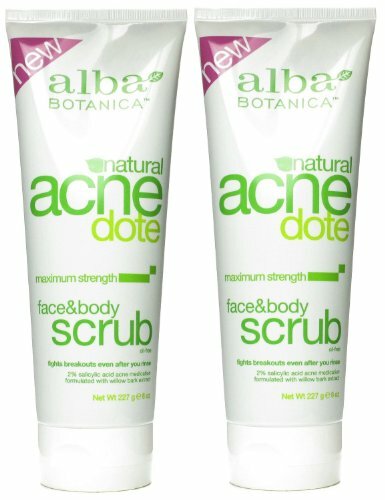 Take control of your skin with Alba Botanica Acnedote Maximum Strength Face & Body Scrub. Made with a 2% salicylic acid and willow bark solution, this cleanser treats and prevents acne and breakouts. This body scrub fights oil, dirt, and pore-plugging residue to leave you with skin that is clear and smooth without irritation. Our formula is powered by botanicals such as aloe leaf juice, citrus oil and walnut shell powder to calm the skin. Our 100% vegetarian formula is oil-free and does not contain any parabens, phthalates, or synthetic fragrances. It is also not tested on animals. Includes one 8 oz. 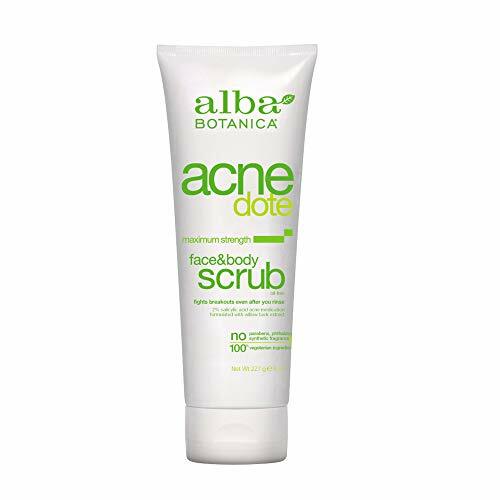 bottle of Alba Botanica Acnedote Maximum Strength Face & Body Scrub. At Alba Botanica, our product family constantly evolves alongside health, beauty, and ingredient knowledge and trends. We’re dedicated to making high quality, 100% vegetarian products that overflow with botanical ingredients. Do beautiful – that’s the motto that motivates our body loving products that nourish the skin, hair and, of course, the soul. Cleanse and refresh your skin with Alba Botanica Body in the Buff Grapefruit & Walnut Shell Revitalizing Scrub. This cleanser is made with biodegradable buffing beads combine with walnut shell powder to exfoliate and soften the skin, while antioxidant-rich citrus oils rejuvenate it. Sweet almond oil and aloe leaf juice leave your skin feeling pampered and nourished. Our 100% vegetarian formula is hypo-allergenic and does not contain any parabens, phthalates or synthetic fragrances. It is also not tested on animals. Includes six 9 oz. 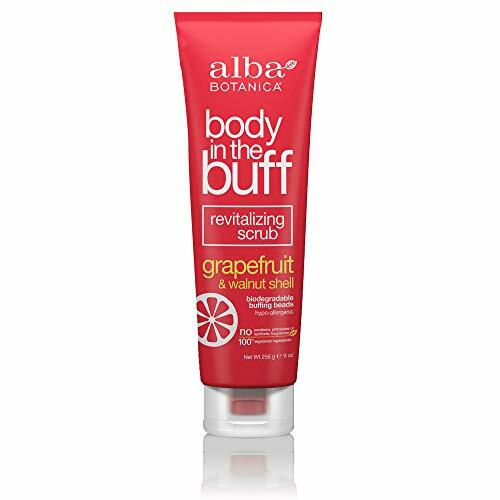 bottles of Alba Botanica Body in the Buff Grapefruit & Walnut Shell Revitalizing Scrub. At Alba Botanica, our product family constantly evolves alongside health, beauty, and ingredient knowledge and trends. We’re dedicated to making high quality, 100% vegetarian products that overflow with botanical ingredients. Do beautiful – that’s the motto that motivates our body loving products that nourish the skin, hair and, of course, the soul. 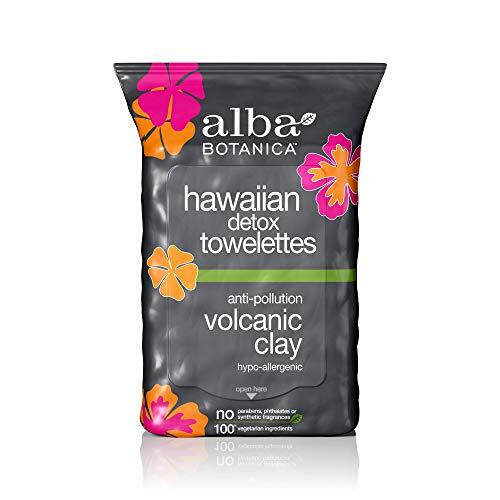 Alba Botanica Hawaiian Detox Anti-Pollution Volcanic Clay Towelettes multi-task to remove makeup, impurities and pollutants. They use the power of botanical extracts from aloe leaf juice, sweet almond oil, and citrus to help leave skin feeling fresh and renewed. With our towelettes, it's easy to condense your nightly skin care routine into one quick step. Volcanic clay attracts, extracts and absorbs dirt, oil and grime, while tropical fruit acids remove dulling debris for the appearance of a brighter complexion. Our 100% vegetarian formula is hypo-allergenic and does not contain any parabens, phthalates, or synthetic fragrances. It is also not tested on animals. 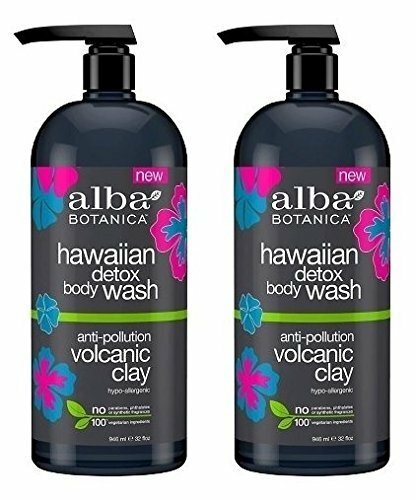 Includes one 30 count package of Alba Botanica Anti-Pollution Volcanic Clay Hawaiian Detox Towelettes. At Alba Botanica, our product family constantly evolves alongside health, beauty, and ingredient knowledge and trends. We’re dedicated to making high quality, 100% vegetarian products that overflow with botanical ingredients. Do beautiful – that’s the motto that motivates our body loving products that nourish the skin, hair and, of course, the soul. For a Skin-tastic Cleanse When your skin soaks in the pollution and toxins you encounter every day, it protects what's on the inside at the expense of what's on the outside. With the extraction action of real volcanic clay, this rich, bubbly body wash rewards skin with the deep down detoxifying clean it has earned. A tropical infusion of coconut water, torch ginger, lotus flower and yerba mata extract then boost skin's natural defenses. Bright and clean, skin glows with gratitude. Alba Botanica Revitalizing Sea Salt Hawaiian Body Scrub, 14.5 oz. 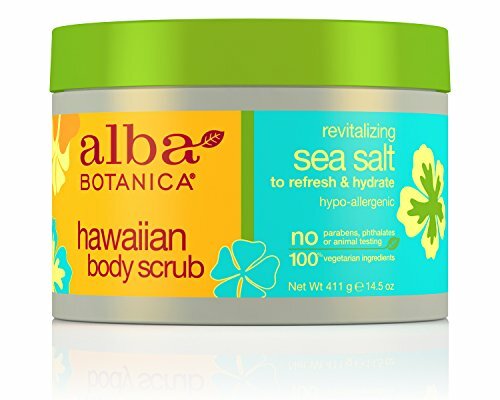 Treat yourself to an at-home spa day with Alba Botanica Revitalizing Sea Salt Hawaiian Body Scrub. Pacific sea salts deeply detoxify and exfoliate dry skin, while nourishing jojoba, macadamia, avocado and sweet almond oils provide hydration, leaving your skin pampered and nourished with a light tropical scent. Our 100% vegetarian formula is hypo-allergenic and does not contain any parabens, phthalates or harsh sulfates. It is also not tested on animals. Includes one 14.5 oz. jar of Alba Botanica Revitalizing Sea Salt Hawaiian Body Scrub. At Alba Botanica, our product family constantly evolves alongside health, beauty, and ingredient knowledge and trends. We’re dedicated to making high quality, 100% vegetarian products that overflow with botanical ingredients. Do beautiful – that’s the motto that motivates our body loving products that nourish the skin, hair and, of course, the soul. 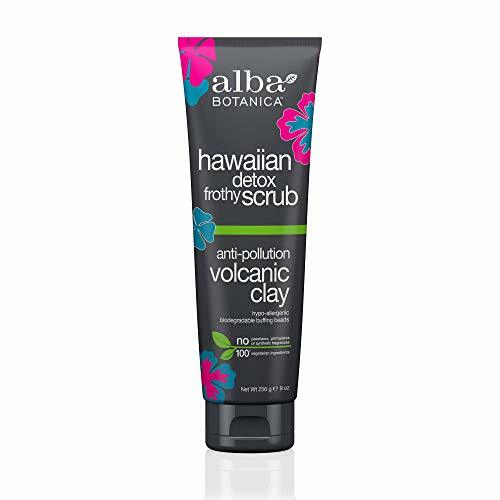 Give your skin a deep clean with Alba Botanica Anti-Pollution Volcanic Clay Hawaiian Detox Frothy Scrub. This scrub uses biodegradable buffing beads combine with a rich lather to exfoliate and soften skin, while torch ginger and lotus flower nourish and soothe. Volcanic clay attracts, extracts and absorbs dirt, oil and grime, while tropical fruit acids dissolve dulling debris for a brighter complexion. Our 100% vegetarian formula is hypo-allergenic and does not contain any parabens, phthalates, or synthetic fragrances. It is also not tested on animals. Includes 9 oz. tubes of Alba Botanica Anti-Pollution Volcanic Clay Hawaiian Detox Frothy Scrub. At Alba Botanica, our product family constantly evolves alongside health, beauty, and ingredient knowledge and trends. We’re dedicated to making high quality, 100% vegetarian products that overflow with botanical ingredients. Do beautiful – that’s the motto that motivates our body loving products that nourish the skin, hair and, of course, the soul. Compare prices on Alba Botanica Exfoliating Body Wash at LiveSaler.com – use promo codes and coupons for best offers and deals. We work hard to get you amazing deals and collect all avail hot offers online and represent it in one place for the customers. Now our visitors can leverage benefits of big brands and heavy discounts available for that day and for famous brands. We try to makes comparison shopping easy with Product Reviews, Merchant Ratings, Deal Alerts & Coupons. Find Deals, Compare Prices, Read Reviews & Save Money.